Anyone that has ever known someone that suffered from Alzheimer’s disease knows the horrible effects. Lose of comprehension is one of the first side effects. Doctors have known for a while now that mental stimulation is one of the greatest tools in fighting the progression of Alzheimer’s disease. 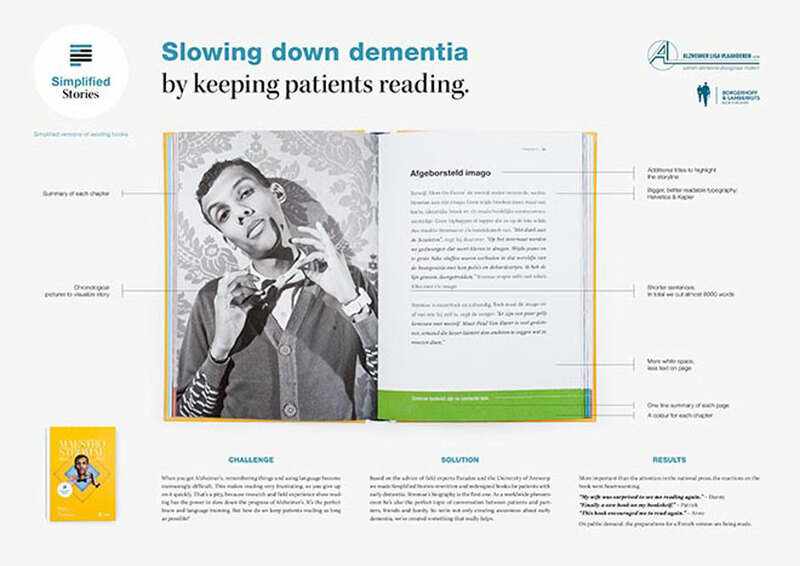 One of the best forms of mental stimulation is reading, what is why the people at Alzheimerliga and the Alzheimer League (both Belgium originations) have partnered with DDB Brussels and their revolutionary idea for “Simplified Stories”. The wonderful work that was been accomplished has won them the Design Grand Prix at the Epic Awards. 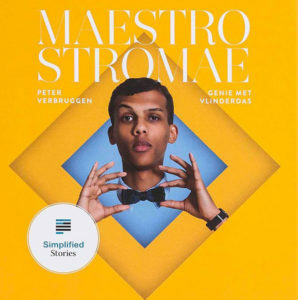 Simplified Stories started off by using the biography of Belgian pop star Stromae aka Paul Van Haver by Peter Verbruggen, as they believed that his story would be something appealing to both those suffering with early onset dementia and the younger relatives of those who suffer, leading to more of a bonding experience. Hilde Lamers, the director of the Alzheimer League had this to say about the project “Reading trains both the memory and the use of language. People with (early-onset) dementia gradually lose their cognitive abilities. They not only have memory problems but also suffer from language disorders. It means that they often stop reading books. People with (early-onset) dementia can easily lose the thread of a story, forgetting what they read the day before, or the story behind a particular character. It’s very frustrating, so most people stop reading altogether. Despite the fact that reading is the perfect way to train one’s memory and retain language skills. The fundamental notion is a genius method that is honestly quit simple. Simplify the story, hint the title. The process begins by condensing the story at hand, with careful editing the story is shortened drastically in size while keeping the core theme and idea. A few of the first steps being, the removal of all difficult words (replacing with simply synonyms). Shorten the sentences (the less wordy the better, as comprehension is diminished) and keep chapters short. 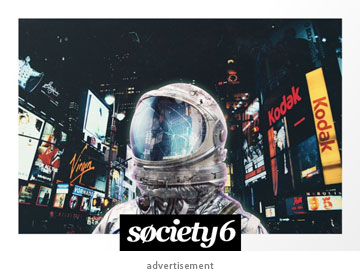 They make sure that there is a clear and logical structure so that the reader can easily follow the chronological order of the story without jumping from one topic to the next drastically. The layout is another critical point in the process. The chosen font should be of a larger and bold variety, there should be clear and precise spacing between paragraphs having large sections of blank white page in between; the page should have as little text as possible, and an easy to follow method as to know what chapter the reader is in. Another key component is reminding the reader what they have read. You will find summaries at the beginning of each new chapter about the chapter before, to help keep the train of thought. Also at the bottom of each page is an average of seven words that will summarize what is on the page. The goal is simple: Keep it simplified, uncluttered, and structured and above all else keep them reading. 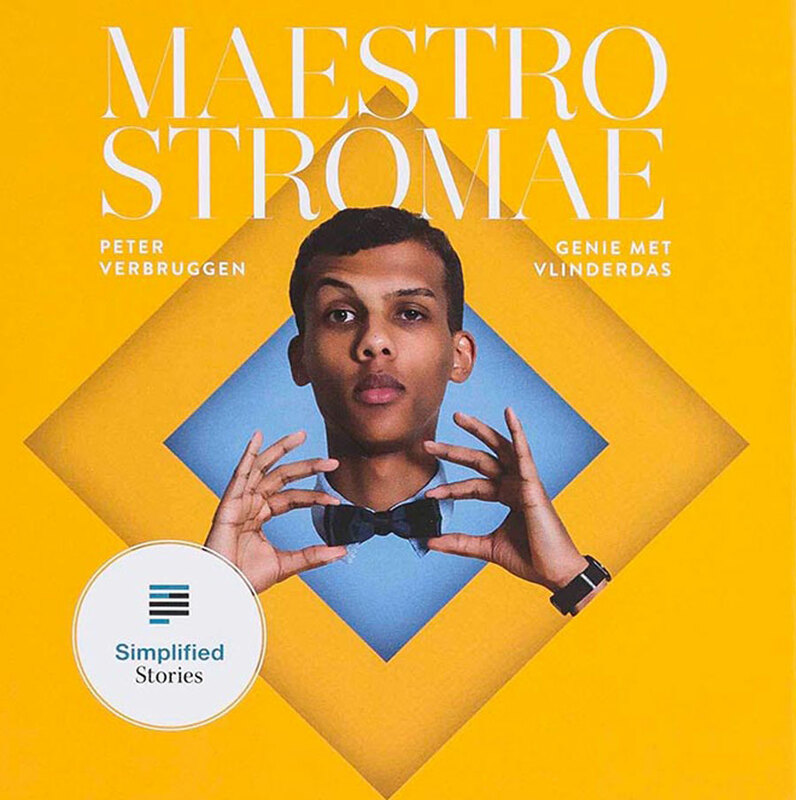 Simplified Story project was started by DDB Brussels by the creative directors Peter Ampe and Odin Saillé. Other people who should be credited are: copywriter Bart Van Goethem, art director Stefan van de Boogaard, creative Tim Arts, graphic designer Marlène Wautot, account manager Silvie Erzeel, account executive Anneleen Vande Voorde, PR manager Kenn Van Lijsebeth, working with Alzheimerliga. 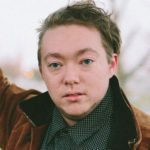 Credits for the video included in this article belong to Thinkfish Media: Film production and Adam Kozlowski: Photography.